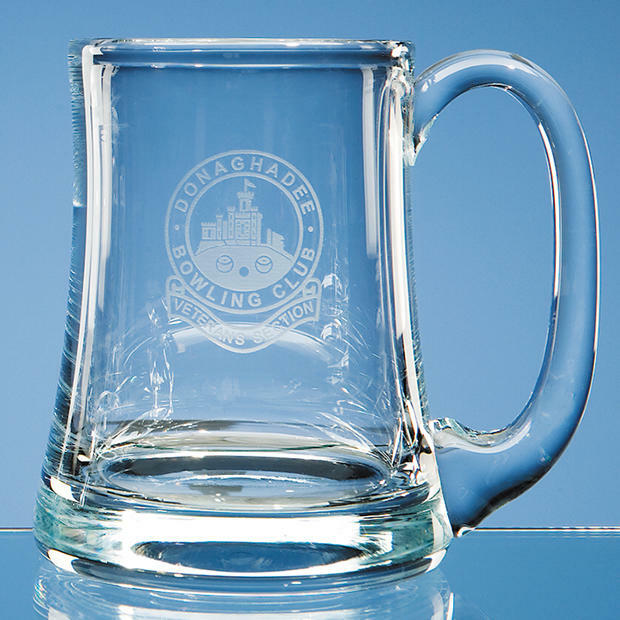 The stylish Aleman tankard, engraved Aleman Glass tankard, personalised Aleman Glass Tankard is bold and sturdy, and makes a fantastic wedding gift, sports prize, or company reward. The large engraving area can be personalised with any badge, logo or wording to to suit any occasiion. Satin-Lined Presentation Boxes Availabl - please see order section. Please note that prices shown do not include personalisation, shipping or VAT.